Interactive promotional and sampling display offering complimentary bottles of 5-hour Energy for adults (individuals 18 years or older). This display will take place August 24th through August 27th on Wright Avenue between Underwood and Cooper Streets. 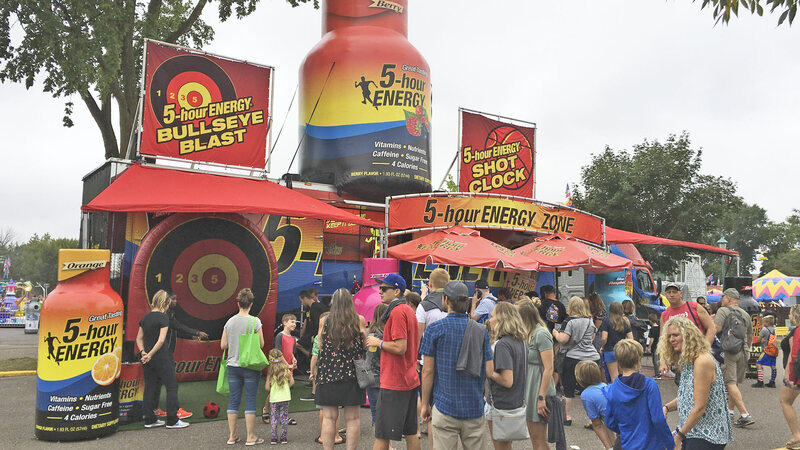 Interactive sampling display that offers (1) complimentary bottle of 5-hour Energy to individuals 18 years or older. Thursday, August 23, 2018 through Sunday, August 26, 2018 ONLY. Southwest corner of Wright Ave. & Cooper St.